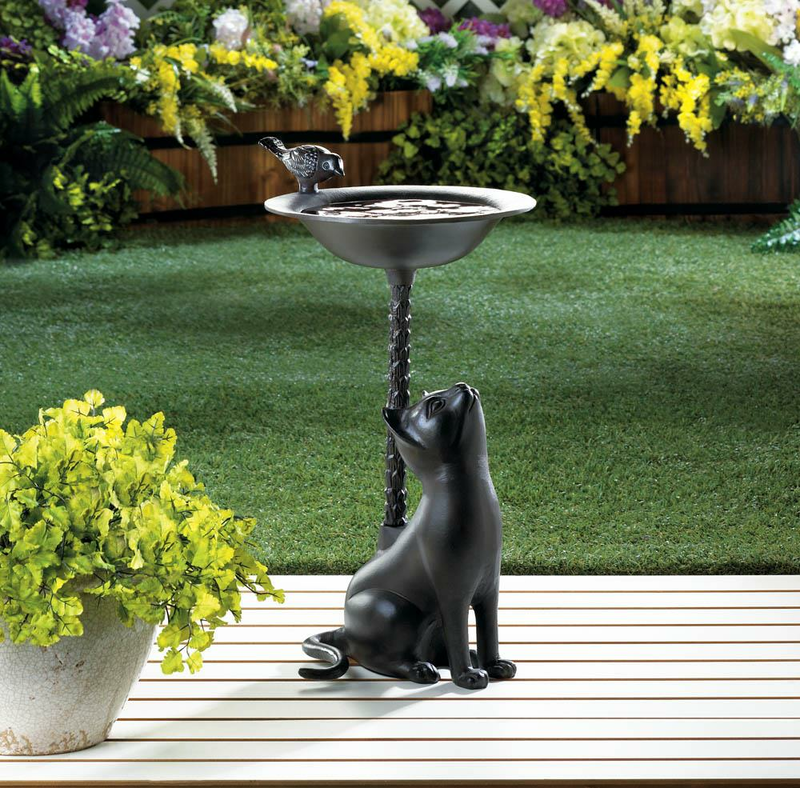 Fill up the basin of this delightful birdbath and watch as your feathered friends flock to take a dip. 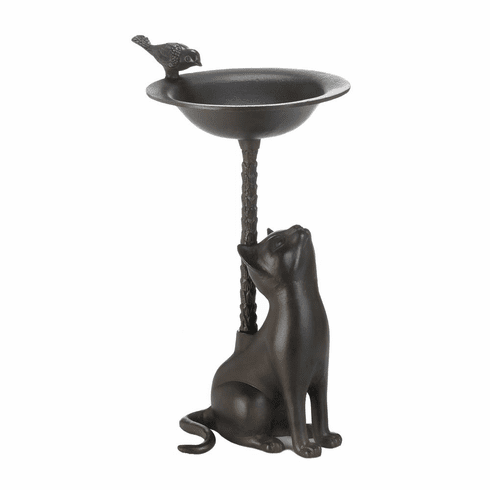 The base features a curious kitten looking up at the bird perched on the rim of the basin above. Weight 7 pounds. 14" x 11.5" x 21.5". Aluminum. UPC Number: 849179035396.